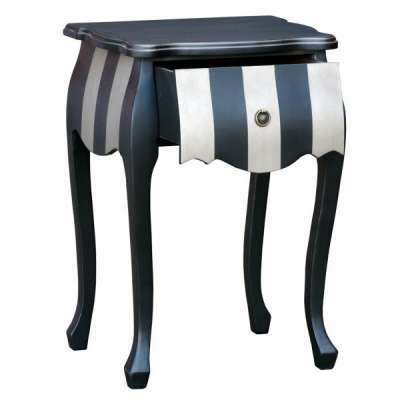 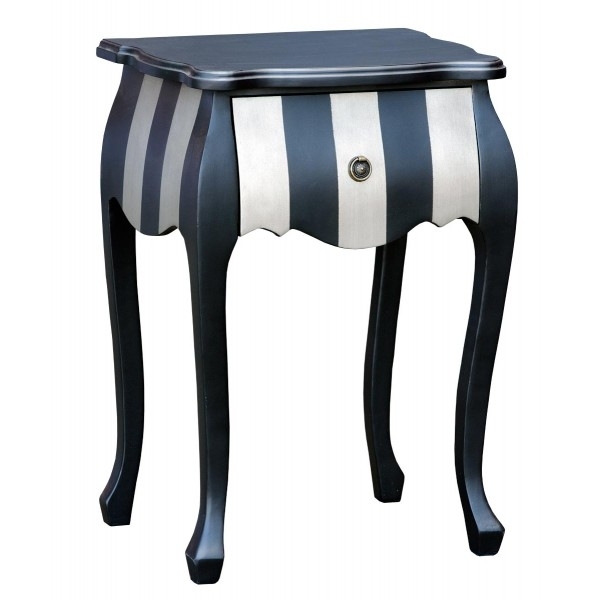 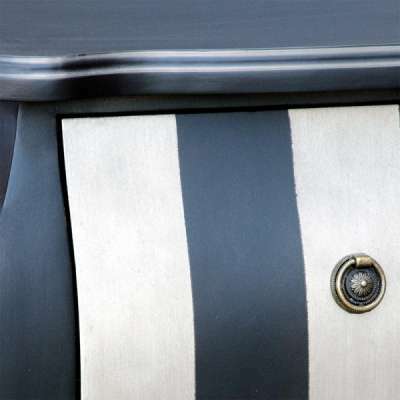 A curvy bombe style antique silver and black bold stripe one drawer bedside table, delivered fully assembled. 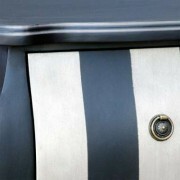 Finished with a subtle antiqued patina to the silver. 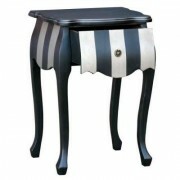 Small imperfections may occur this furniture is hand finished.